Every artist selects a variety of materials to compose their painting, including a structural support, sizes, ground layers, paints or varnishes. Over time, each layer reacts to changes in temperature, relative humidity, vibrations or other related factors. 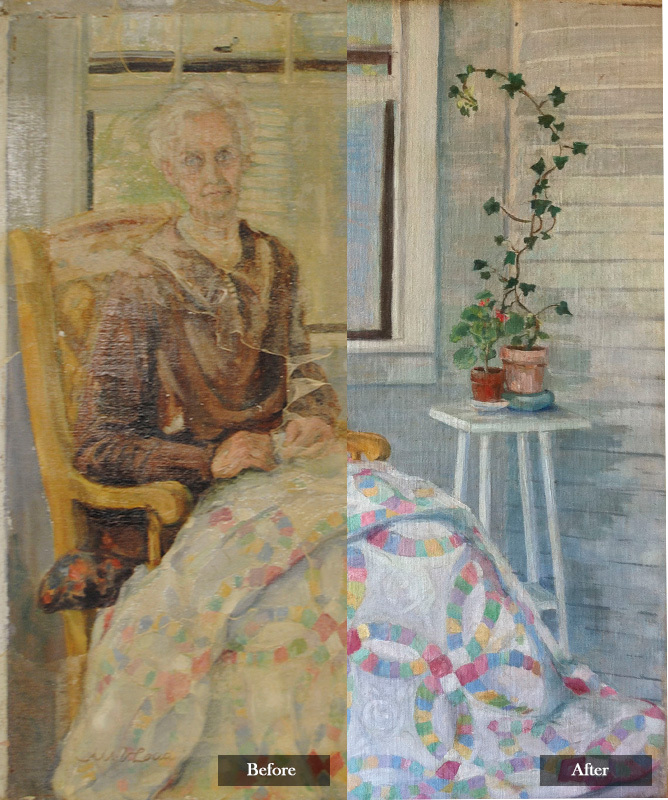 The layers may flake or crack, leaving unsightly blemishes in your painting. Paint most often loosens, tents or ultimately flakes off from changes in environmental conditions, inherent vice, shrinkage and expansion from moisture exposure or is a victim of an accident. If not consolidated, the damage can worsen. 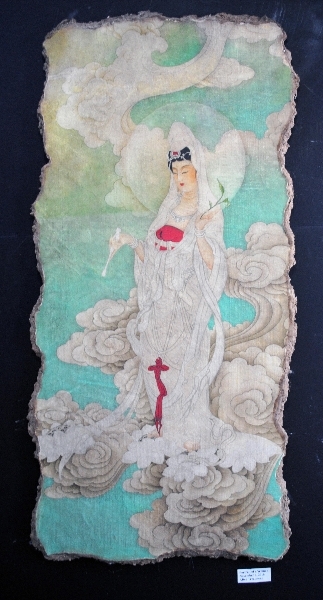 Not only would a cracked painting not be pleasing to the eye, but it may lower its value. 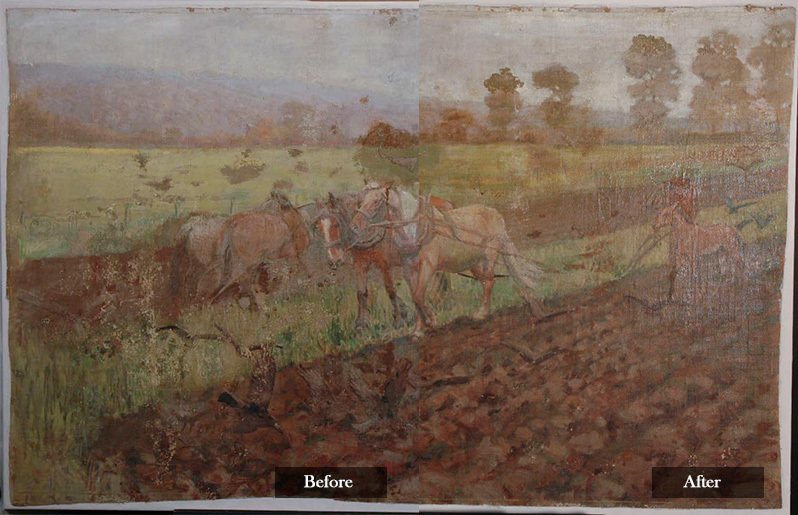 Lis Art Conservation’s lead conservator, Jennifer Lis, is an expert when it comes to loose or flaking paint restoration. She has spent the last 11 years restoring countless paintings and knows the kind of attention to detail it takes to properly consolidate flaking paint. When we receive a painting with flaking or cupping paint, it doesn’t matter if it’s a museum-quality piece or a family artwork with sentimental value. We hold it in high regard and respect it as such. 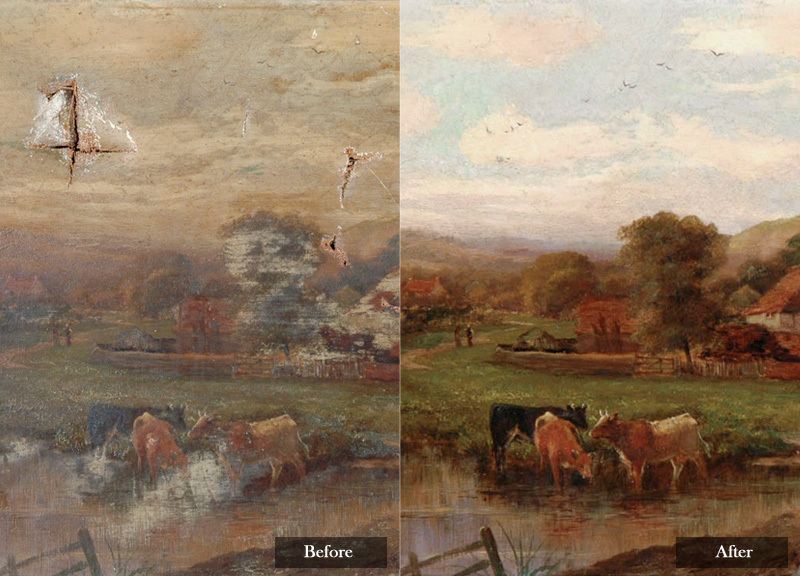 Restoring a painting to its original form is a delicate task that takes precision. Above all else, it’s our goal to return your painting to its original state. When you entrust us with your painting, we will take the time to repair the damage while using methods that maintain its integrity. We adhere to the conservation treatment guidelines established by the American Institute for Conservation, which state that all treatments must be reversible. This means that when we handle your painting, its physical integrity will remain intact. Please contact Lis Art Conservation today for more information about how we can return your painting to its blemish-free state.